Very strong and has survived dozens of 70mph storms. Very strong and has survived dozens of 70mph storms. Have had for 15 years and rain fly is torn. Cabela's does not sell this separately. So kinda screwed now. Still a good tent, but just need a rain fly. Been in bad storms that flattend other tents. but rainfly is thin and non replaceable. Can't understand why Cabela’s would not make replacement rain fly. Welcome to Trailspace, Chad. Too bad about the rainfly. You may want to post your issue over in our Gear Repair forum for suggestions: https://www.trailspace.com/forums/gear-repair/. Strongest dome tent I have owned! I have both the 8 man tent and the 6-Man tent with the added floor protector for both, plus they made a corridor to connect two tents. We use the 8-man tent to sleep in and the 6-man to keep all of our gear. 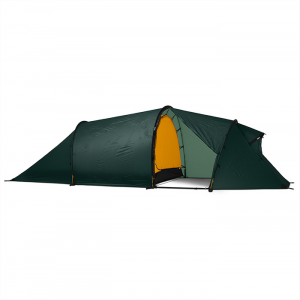 These tent are extremely strong and by far the most well made tent I have had. Welcome to Trailspace, Garry. Out of curiosity, where do you tend to use your Alaskan Guide tents? Also, do you have any pictures of your tents you could show others in your review? Good for standing up against strong wind and not getting wet from hard rains. Bad for being warm. I have camped in this 8-person guide tent numerous times. As far as being sturdy in a strong wind or being waterproof this tent cannot be beat. However for cold weather camping it falls a bit short. This is the first time i have used it in very cold weather meaning no snow with wind, rain and temps in the teens. I am not sure how you can stay warm in a tent that has three open roof vents that cannot be closed, a rain fly that leaves a 4 inch gap between it and the internal tent as well as a rain fly that has a ground gap of 4 or 5 inches completely around the tent. This allows wind to blow under the rain fly and over the internal tent taking any heat that may have gotten trapped inside the tent (under the rain fly) with it. We started with a 400 to 800 btu heater and had to upgrade to a 600 to 1200 btu heater when temps dropped in the low teens and windy. I am sure it gets colder than that in Alaska. Maybe there is some secret that is not being shared on how to heat it? If there had been snow we could have packed that around the open bottom to stop the drafts. A friend of mine had a fabric attachment that connected inside the tent that created a solid second internal ceiling but i could not find this item online. I personally would rate this as a three-season tent with temps above the 30s and a good cold weather sleeping bag. RECOMMENDATIONS....zippered closures/flaps on the roof vents and a rain fly that contacts the ground to create a air insulated barrier between the inner tent and the rain fly. If you want a better cold weather tent I would maybe suggest the canvas guide tents such as the Alaknak tents from Cabelas. Hi Frank! I'm not sure what kind of heater you have been using, but propane heaters in tents are a deadly combination. Unless it is specifically designed for tents, you should not attempt it. I purchased this tent after it was recommended from a friend who camps in very high country of Wyoming hunting elk. I purchased the tent expecting the best and was not disappointed. 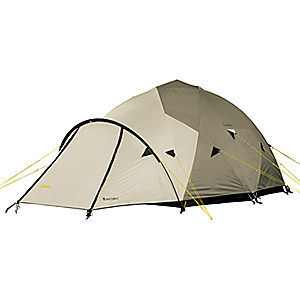 This tent can weather extreme winds, stays very dry inside, has closable roof vents for cold temperature camping. It is a true 4-season tent. I recommend this tent to all my friends with complete confidence they will be as pleased as I am with this tent. Ease of Setup: Not to tough. I have used mine for over 10 years in some of worst weather that mother nature can dish out. There have been mornings with 5 inches of snow on the roof. Some of the storms we have endured would distroy any other tent, this is not just a great tent, this is an investment in quality. If you have kids and you need to purchase a tent don't buy any other tent without checking out the Cabela's 8-man Alaskan. As for using it for outback and in the bush camping I used it for 3 months in northern Ontario, Canada, and it never let me down. 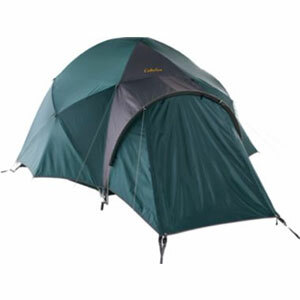 It is a tough tent and will last a long time it shines the best in bad weather and high winds. 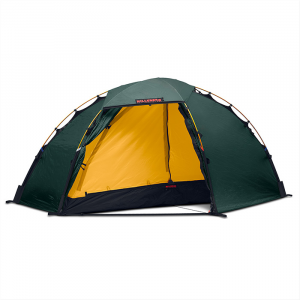 I use it every year camping and I have had many stop to look at it, The Canadians have said it is a good tent and you will see the Cabela's tents at any campground especialy in the north. The Cabela's Alaskan Guide 8-Man is not available from the stores we monitor.